A cup of my favorite genmaicha. Tea! Lovely tea! I usually start my day with coffee, but after noon, I frequently switch over to tea to taper off my caffeine intake. Some mornings I even prefer the fresh zing of green tea or the slightly sweet fragrance of black tea with a touch of cream to the robust “Hello!” of coffee. There’s a tea for every mood. I love tea so much, I even have a fancy electric kettle that is designed specifically for tea drinkers. Yeah, it’s possible I have a problem. Tea is the second most commonly consumed beverage in the world after water! Originating in south and east Asia, its consumption was first recorded in China in 10 BCE. Just think about that! What a history! I think it’s important to note at this point that not all things we call tea are, in fact, tea. Herbal teas, or tisanes, are infusions, and do not come from the botanical tea plant. This does not make them not delicious or nutritious, but I’m a stickler for detail. 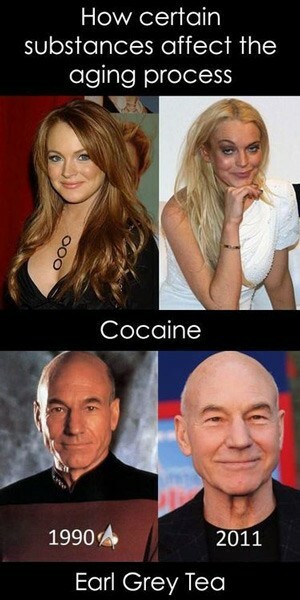 The health benefits of tea are vast. In addition to encouraging us to hydrate, tea contains antioxidants, vitamins C, E, K, and amino acids. Tea can normalize blood pressure, help control blood sugar, discourage the development of cavities, and provide beneficial microflora for digestion. Studies also suggest that long-term tea consumption can lead to greater longevity and vitality as we age. 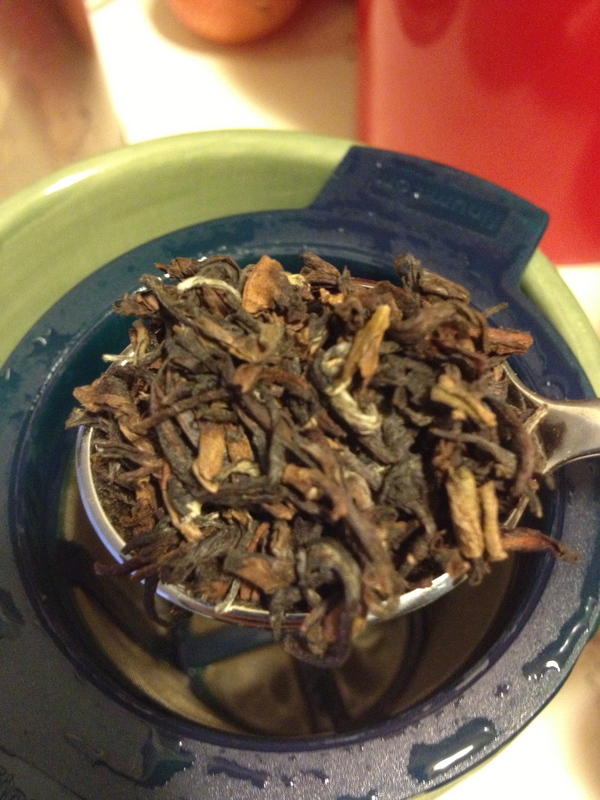 The majority of teas you’ll find in your market will come from either the Chinese or Assam tea leaf. These leaves can be grown anywhere, so they might be Indian, Japanese, etc.. Like coffee and wine, terroir is extremely important when it comes to the flavor and character or tea. Its processing post-harvest, however, is equally important. It’s the oxidation and drying process that indicates whether you’ll be working with white, green, black, or post-fermented tea. The same tea that’s bloomed after steeping. Disclaimer: Lipton tea bags just fine, but if you decide to go over the cliff, you’ll find loose leaf teas superior in flavor partly because the basic product is generally of a better quality than what’s put into tea bags. 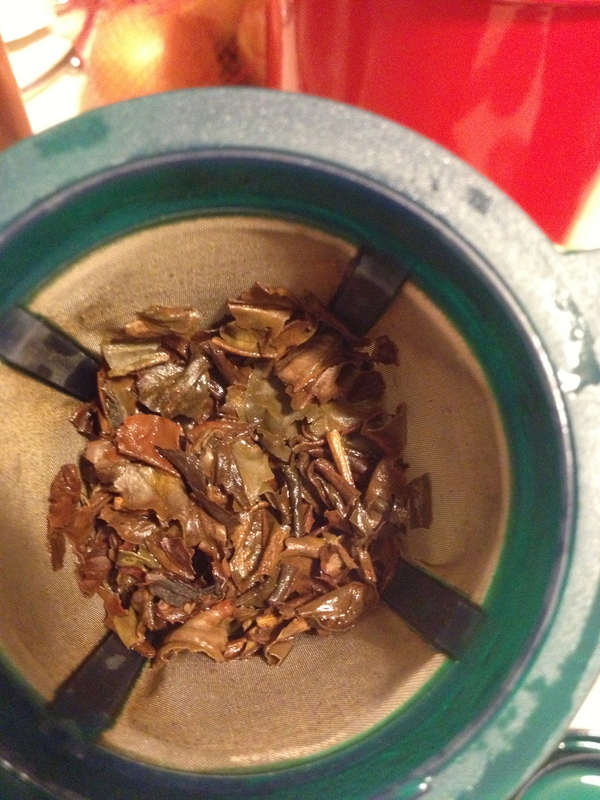 It should also be noted that good tea leaves need room to expand while steeping, room that a mere bag cannot offer. If you’re coming over to the dark side, I recommend investing in a re-useable mesh tea strainer which will give your leaves the room they need while making extraction simple. Popular black teas include: English Breakfast, Earl Grey (flavored with bergamot), Darjeeling, Assam, Russian Caravan (smokey). Brewing: Steep (to steep: to allow dry ingredients, such as coffee, tea, or spices, to soak in a liquid until the liquid takes on the flavor of the dry ingredient) 1 teaspoon per cup of water for 3-4 minutes in boiling water (210F). Darjeeling may benefit from a longer time. Most can tolerate a second or third steep. Brewing: (VERY IMPORTANT) Steep 1 teaspoon per cup of water for 1-2 minutes in steaming water (176-185F). Boiling water can bring out a bitterness in green tea while a slightly cooler and shorter steep time produces a fresh, clean, slightly sweet flavor. Green teas are often better on a second steep than on the first and can tolerate multiple steepings. Pu-ehr is a particular favorite of mine. 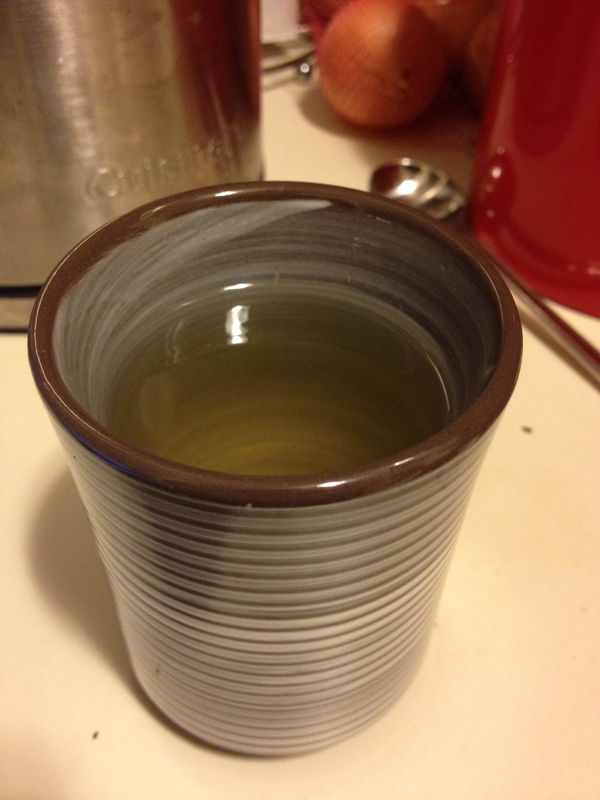 This post-fermented tea has a musty, basement-y flavor and is great for digestion after a fatty meal. It can be brewed at a full boil repeatedly and only mellows and becomes more beautiful with each steeping. A caffeine-free infusion with a gentle, round flavor that takes to extra flavoring very well. This is a night-time favorite of mine. It can’t be steeped too hot or too long. It will never turn bitter. Chamomile, hibiscus, orange peel… the world of herbal infusions is enormous. There are medicinal ones and floral ones and peppermint ones… Wait! Guess what! If you were of a mind, you could just toss some bashed up mint in a cup with some boiling water and have mint tea! You can do this with a lot of things. Think of the flavors you like and start playing with your own custom herbal infusions! Maté is a traditional South American infusion. It is not strictly a tea, but man, does it pack a wallop! A natural energy drink, maté is traditionally sipped from a gourd through a silver straw called a bombilla. It’s best brewed below boiling at around 160-180F. You’ll probably see some pre-packaged beverages with this herb listed. You’ll probably see a lot of sugar and other undesireables listed as well. Try the real thing. Tea should be stored in a cool, dark, air-tight place away from sunlight. Sunlight will degrade your tea leaves over time. Hope you had a happy Thanksgiving, Amazons!